Rediscovering The Intricate Verse Of Federico Garcia Lorca Poet Federico Garcia Lorca's life was cut short during the Spanish Civil War, but he left behind a rich legacy of poetry and drama. Reviewer Juan Vidal says the best poetry in translation to come out this year is a new collection of Lorca's verse, translated by writers who were deeply influenced by him. Federico Garcia Lorca, the Spanish surrealist, wasn't just any writer. The poet and playwright was also a revolutionary who penned some of the most intricate and arresting verse of the twentieth century. Out now from New Directions, Selected Poems is perhaps the best introduction to the poet's oeuvre — and one of the foremost works of poetry in translation released this year. This edition, featuring a host of translators from Langston Hughes to Ben Belitt and W. S. Merwin, should have a place in any growing library. Though at times elusive, the work of Garcia Lorca was no doubt a call to arms to those who felt bogged down by the trappings of tradition and class. And after years of writing poems, plays, and organizing theatrical performances, his fame began to spread across oceans. Langston Hughes, for one, shared a deep admiration for the poet's sensibilities early on. Soon, Garcia Lorca found himself earning the praise of people like Pablo Neruda and Salvador Dali, with whom he later formed close bonds. In fact, the triangle of friendship eventually saw them paying homage to one another through verse — with Neruda's "Ode to Federico Garcia Lorca" and Garcia Lorca's "Ode to Salvador Dali." Always curious and open to adventure, Garcia Lorca took to travel, making his home in places like Madrid, Cuba, and New York, which he later called a "maddening boisterous Babel." These experiences — the sights and the smells — naturally, made their way into his work. They played a vital role in his growth and his output as a poet and dramatist, which often raised questions about the limitations of art, sexuality, and societal norms. 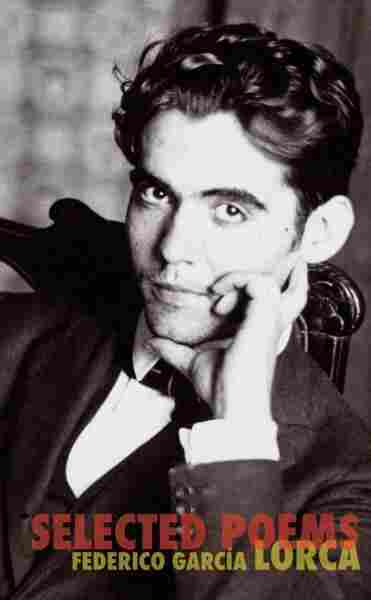 After the Civil War broke out in Spain, Garcia Lorca — at the age of 38 — was shot by fascist rebels. Though the motives for his assassination have been a topic of much debate, there is no question that what he was able accomplish throughout his short life deserves to be celebrated. Garcia Lorca's aesthetic — a style immersed in the surreal — is deeply riddled with myth and a keen sense of history. And it's all here, in the Selected Poems. Though at one point under the constant threat of censorship, these writing's continue to gain converts today — several decades removed. From poems on city life, to love, to the realities of war, the Selected Poems is sure to satisfy the most selective of readers. Shaped by authors who were similarly affected by Garcia Lorca, this edition draws attention to one who wasn't afraid to bare it all. Let's hear it for an artist who, despite opposition, lived to serve the work, skillfully and honestly. Tell me, what more can one ask of a poet?